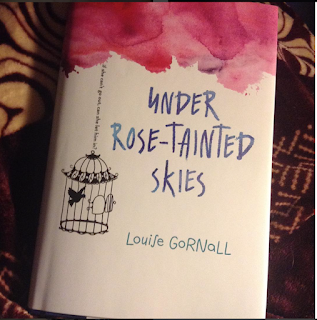 Under Rose Tainted Skies is a wonderfully written book by Louise Gornall. I first noticed this book on what we called book tube or Youtube videos about books. After the tuber summarizes the story, I had noticed that it was a contemporary young adult novel that dealt with Mental health in young adults. I also very much attracted to the beauty of the front cover. As you can see from above it looks like a very simple water painting of bright colors. Now onto the review of this awesome book. This story covers a few different types of Mental health issues such as agoraphobia and OCD which leads to anxiety for Norah. I have to say I could relate to so much of what the main Character Norah was feeling in this book. In fact, several times I had moments of Oh My God, I understand that feeling so well about mental illness. It hard for people like Norah and myself to not want to feel guilty of the un-normalized things we have to do in order to survive. ( OMG I can’t believe I am sharing this right now but I need to). Things that most people would think that a person would not need to exist for people to be “normal”.For example, Norah in the book said, people have told her, to just be happy and why can’t she get over her own thoughts or control them but it's not that simple. Trust me, from personal experience it is never that simple. We don’t have the “machinery” to just turn off the negativity button like most people do. I would like to add that the author states that the Mental Health descriptions in this book are very real because they are from her own real-life perspective. I know from reading so many young adult books that these type of Mental Health discussion parts of this book just can’t be reproduced. It's very hard in my opinion for teen books or any books to really discuss mental illness unless the author themselves have really face it. I think this is one of the reasons I simply adore this book. Now for more awesomeness from this book. As I said through my rant above, Norah suffers from Mental illness but somehow ends up attracting the new next store neighborhood boy. The boy name is Luke, and he first notices Norah from her upstairs window. He comes over and Introduces himself to Norah, hoping to catch her attention. But slowly he becomes more aware of Norah Health. Eventually, things happen that lead their friendship to a possible romantic relationship which is when things happen to go bad. Then something major happens which literally leads Norah to Luke’s front door and it changes everything. But you will have to read the book if you wish to know more about this awesome life changing the story. As for the book, I rated it a five out of five stars because I haven’t really seen a book like this before. It reminded me something, a book tuber by the Youtube name of Super Space Chick aka Kristen, once said: “that this is not a YA where if Girl follows in love with a Boy, it will magically fix all of her Mental Illness.” This book perfectly describes a regular teen awkward romance but at a slower pace. A pace that is healthy for the main female lead and her Mental Illness. I just have to say I love how the professional therapist was written in this book as well. The doctor was written in a very health doctor wants to help patient type of way. I honestly wish we all had, more Professional Mental Health Doctors like Norah’s in this world. I also wanted to add that this book is a very fast read. The letters are semi-big for the writing and the chapters are very short. I think the longest chapter was about four or five pages long which is not really that long. Also, the type spacing between the writing was very nice as well. 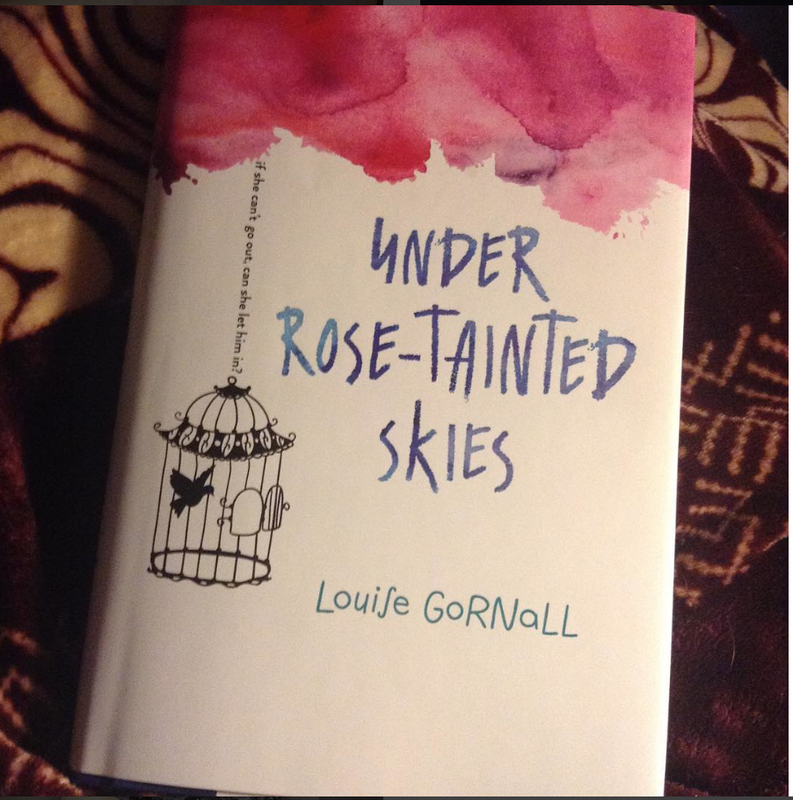 I cannot honestly recommend this book enough and I hope to the Universe that Louise writes another book, because she is amazing. I suggest you go buy this book now, take a weekend to read it, because it's life-changing, especially if you're dealing with Mental Illness or have a loved one that deals with it. This book will give you such great real-life perspective on Mental Health and how people live with it. As always the Author information is listed below. Ps: I had so much to say about this book and all of it was wonderful but I honestly would have spoiled it. This book will be on my favorite list for a long time and part of my heart forever. It truly is a Life Changing Read, and Louise, herself is truly deeply kind and amazing as well.